Lake Mead, the largest reservoir in the United States, has just hit a record low. At 1,074.6 feet above sea level, it is 146 feet lower than it was in 1983, the year the reservoir was at its highest. 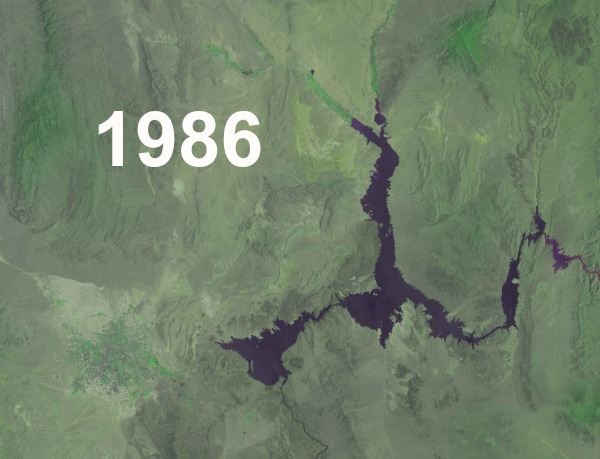 Take a look at the animation below to see how the lake has shrunk since 1986. The last lowest level was recorded just a year ago, in 2015. And the problem is most probably going to get worse, as climate change unfolds. 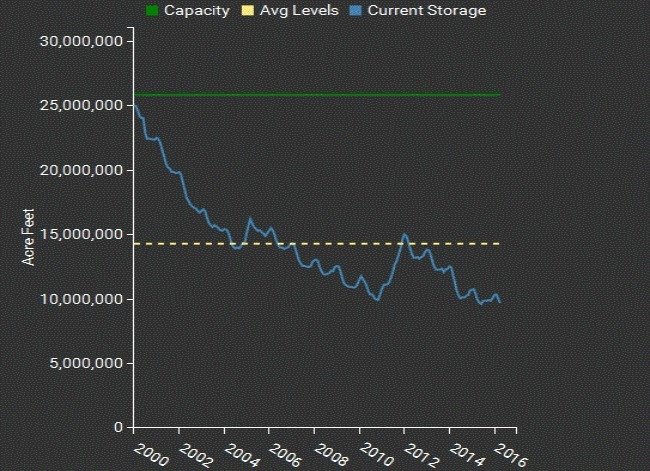 The chart below, courtesy of Dean Farrell, shows the decline in Lake Mead’s volume, which is now at only 37.5% of its full capacity.